Fittingly for International Women’s Day (March 8th), this post is about an enterprising and extraordinary woman who made her home in Poole. 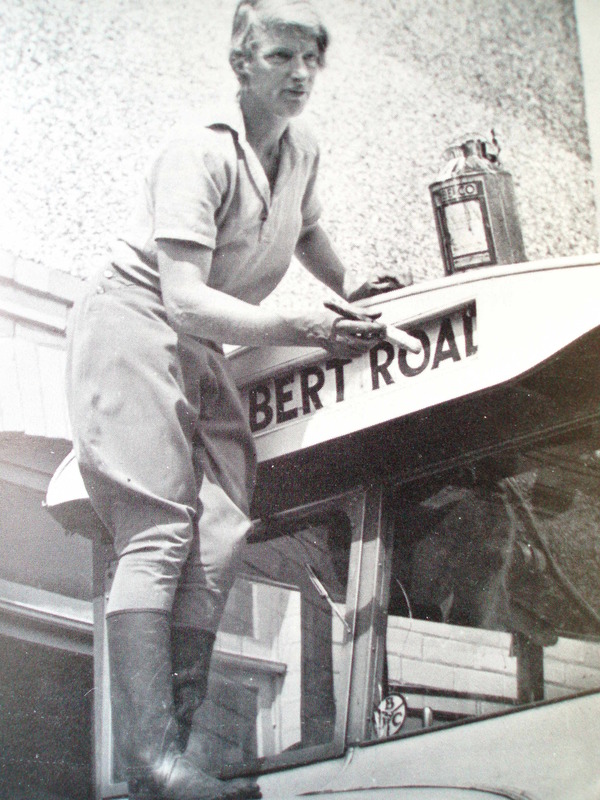 One of Britain’s first registered female racehorse trainers, she helped to develop Sandbanks by running bus and taxi services in the early days of motor transport. She also had a nodding acquaintance with such stars as Billy Cotton, Gracie Fields, Gugliemo Marconi and Lawrence of Arabia, besides once dancing with the Prince of Wales. Louie Eileen Foott was born in 1893 in Exeter but spent her early childhood in Ireland where her love of horses was born. After the tragic death of her father (he was shot, possibly by Sinn Fein), her mother brought her two daughters back to England where they lived first in Shropshire and then in Weston-Super-Mare. It was 1903 when Louie acquired her first horse, a colt which had been left behind in Weston by Buffalo Bill Cody when he visited the town with his show. Louie admired the unbroken three-year-old colt and its farmer owner offered to give the horse to her, if she could ride it. This she managed to do, at the cost of a damaged hand. With her new acquisition, Louie rode out with the local hunt and to finance her hobby, she started buying, renovating and selling old bicycles. During the First World War, Louie volunteered at a local hospital and then worked for Lady Cheylesmore, preparing horses for riding and polo. It was a useful training for her future career. Later in the war, she became a member of the Women’s League Motor Drivers, attached to the Canadian Forestry Corps as an ambulance and dispatch driver. Besides driving, the skills of a mechanic were often required. Sometimes the female drivers got the chance to attend parties and it was at one of these that Louie danced with the Prince of Wales, the future King Edward VIII. When the war ended, the Canadians presented her with the car that she had driven for them, a Model T Ford. By now, Louie’s mother had settled in Parkstone where Louie and her sister, Kathleen joined her for a while. Exploring the area, Louie discovered and fell in love with Sandbanks, then still wild and largely undeveloped with its beautiful views of the harbour, islands and distant hills. At the time, the dunes of Sandbanks were dotted with a number of rough shacks and cabins and to her mother’s dismay, Louie decided to rent one of these no more than 10 feet by 16 feet in size. With the Model T Ford as her first vehicle, she started a taxi service for visitors. Over the next few years, as more people came to settle in Sandbanks, Louie acquired more Model Ts, converting them to carry ten or more passengers. She became one of the first women in the country to get a PSV licence. Her vehicles took passengers to and from Poole via county gates and also provided a late night taxi service from the Amity Cinema. 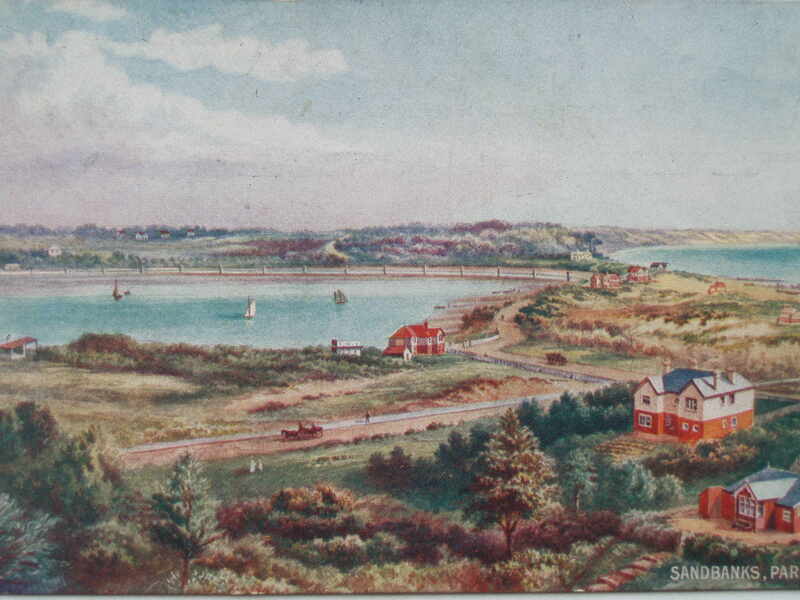 One of her early customers was Gugliemo Marconi, who was conducting wireless experiments near the Haven Hotel. She employed demobbed soldiers to build a road along the peninsular and also negotiated with Shell to supply her with petrol and then set up a garage with petrol pumps. Moving out of her first primitive cabin, she lived in a number of different Sandbanks bungalows and later acquired a stables opposite what was to become the Royal Motor Yacht Club. The late 1920’s were a difficult time for Louie. The local bus company, Hants and Dorset, were in fierce competition with her, urging potential passengers to ‘board the green bus’. In a defiant move Louie repainted her fleet green. Then her licence to operate was withdrawn on grounds of safety and she had to fight the decision with the strong backing her many customers. Eventually, she sold out the Poole route for cash compensation and acquired the sole rights to run a short Upper Parkstone and Rossmore service, affectionately known as the Monkey’s Hump and Heavenly Bottom Express. In fact the route was to remain independent right up until 1994. Around the same time, Louie’s relationship with a married man, William White, resulted in the birth of a son. Presumably to try to preserve her privacy, it was in a London court that she brought an action against him for support, but the case was nevertheless reported in the local press. She was awarded 7s 6d per week, but she may well not have received it since White had apparently gone to New Zealand with his wife. A happier chapter opened in her life when she met Archibald Dingwall, a Scot who had been training as a doctor before joining the forces. After the war, in which he had been wounded several times, he was restless and unsettled. He and Louie fell for each other when he applied for a job and they were married in 1930 in Canford Cliffs, honeymooning in Paris. It was a harmonious and successful marriage. Besides being a good mechanic and driver, Archie was an excellent administrator, leaving Louie free to pursue the parts of the business she really enjoyed. By now these included two shops, an ironmongers and a chemist, and a small hotel, converted from a house, which she named ‘Foott’s Folly’. A number of entertainers stayed there and others like Gracie Fields and Billy Cotton were known to drop by. One day in 1935, T. E. Lawrence had trouble with his motorcycle near the Haven Hotel and brought it in to Louie’s garage. She diagnosed the problem but could not repair it and offered to drive her customer and his bike back home. It was only during the 15 mile trip back to Cloud’s Hill that Louie realised that her passenger was the famous Lawrence of Arabia. Sadly, he was killed only a few weeks later riding the same motorbike. Louie was now financially secure enough to indulge her love of horses. She bought her first race horse, Old Gold, at Cheltenham in 1938 and was delighted to see him win at the Devon and Exeter Meeting the following year. Other horses followed. Because there was never very much money to spare, Louie often bought difficult horses and acquired a reputation for being able to cure their problems. 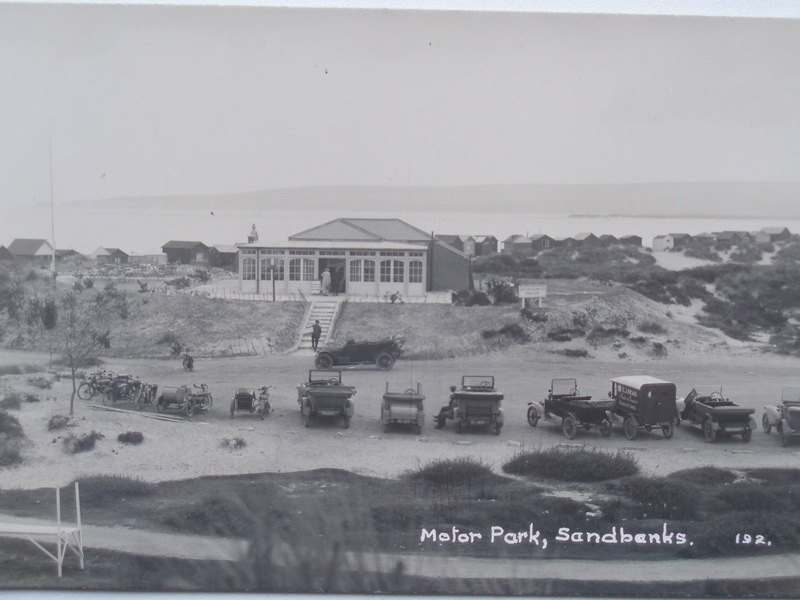 After the outbreak of World War II, Sandbanks became a military area, closed off at Shore Road and requiring a pass to enter. Barbed wire defences were strung along the beaches. Foott’s Folly was converted into a canteen for soldiers where Louie and her staff turned out as many as 200 meals a night. Louie and Archie were local wardens and operated the air raid siren. Transport was also in demand. Louie ran a taxi service for BOAC to and from London, occasionally running into air raids on the way. The night driving, long hours and distances were exhausting and Louie blamed some of the deterioration of her eyesight on the strain of this period. A glimpse of Sandbanks in 1941 comes from the biography of Gordon W. Richards who at the age of 11 was employed by Louie as stable apprentice. 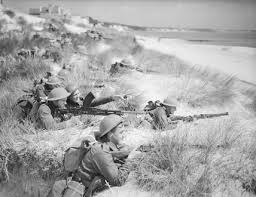 ‘Mrs.Dingwall’s establishment was on the outskirts of Poole, right down near the sea, surrounded by several companies of marines who were encamped and undergoing training admidst the sand-dunes.’ Gordon found life there quite luxurious. He had his own bedroom and was treated as one of the family. Each morning they would ride out and edge their way between the stretches of barbed wire to work the horses on the sand as there were no grass gallops. In the afternoons, Mrs. Dingwall employed a retired teacher from Poole to give him lessons. When the war ended, Louie continued to buy, breed and race horses some of which proved successful. Pink Stripes, for instance, won five races for her and was placed twenty times on the flat. At the time women were not allowed to hold a licence to run horses so Archie and later, various nominees had to hold the licence in her place. In 1954 Archie fell ill and died quite suddenly, ending their happy marriage and partnership. His loss was even more of a blow because he had managed most of the administration of the business which now devolved on to Louie’s shoulders. She decided to sell the hotel but kept on the bus service, the garage and stables. For the next three decades, Louie pursued her passion for horses, relishing her occasional successes. Olympic Boy was a yearling colt which had been injured on a flight from Ireland, leaving him concussed and blind. Louie bought him and managed to restore his sight and nurse him back to health. Amazingly the horse went on to win four races and be placed nineteen times, later retiring to stud. This was the period when the few women trainers in the country were campaigning to be officially recognised. 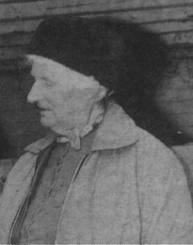 Louie herself was ejected from the weighing area of a racecourse by the Duke of Norfolk, a steward of the Jockey Club, while paying her entry fee for a horse. She had been a trainer for thirty years but was still without status. Finally, in 1966, the Jockey Club conceded to the women and Louie became one of the first female licensed trainers in the country. There were more successes including a triumphant trip to France in 1968 when Treason Trial won the Prix des Anemones and the total prize money was over £6,000. Louie was then 75. In her latter years her eyesight failed but she continued to ride into her 80s. In 1977, she was featured in a Times article under the sub-title ‘Eventful life of the octogenarian with the extra octanes’ in which the journalist retold some of the stories of her life and marvelled at the determination that had ‘enabled her to win 76 races with horses costing no more than £500 each.’ Louie died in 1982 at the age of 89, a battling pioneer to the end and someone who played a considerable role in the development of her adopted town. What a fascinating life she led. This article is so well written too!! Thank you. I would love to speak with you further about her life and how yours has been. I was Louie’s assistant trainer and jockey in 1976. I have some photos of us in the yard and riding Tiercel and Indian Mark. She got my professional licence so that I became one of the first of three women to ride on the flat against the men. I have many memories of working for her. happy to send you them and photos. Hi Caroline i operate the Sandbanks Guided Walking Tour and would be interested in seeing these photos and any other info on Mrs Dingwall, thank you. I organise the British Beach Polo Championships at Sandbanks. About to celebrate the 10th year of the event I am researching ‘ Horse Power on the Peninsula’! This is a very interesting article! Carol i used to be Indian Marks groom !! do you remember sanctoms gift ? 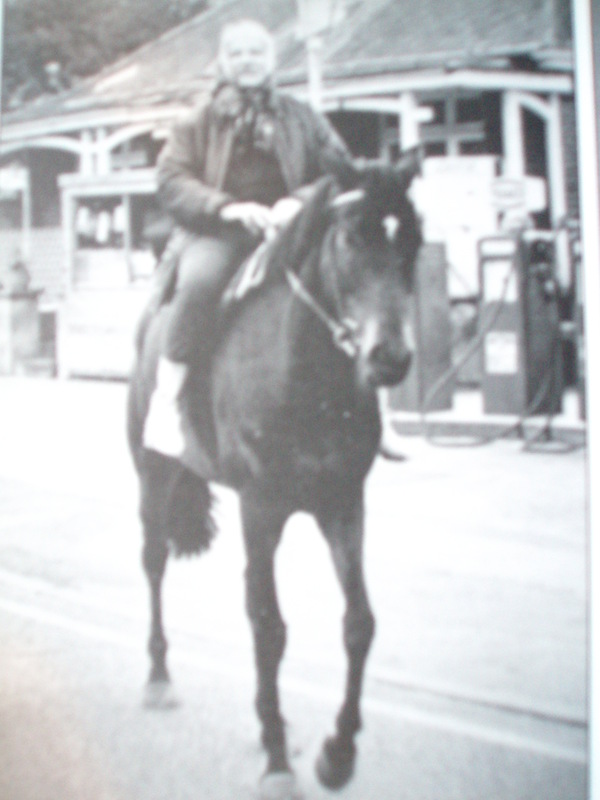 I helped out at Mrs Dingwalls yard when I was a horse mad teenager. I went to Salisbury races when Indian Mark won, groomed Tiercel and remember Sanctums Gift very well. He had big floppy ears and was known on the yard as Fred . I remember Cant Reason known as Canny, Pav Aureole, known as Bango and the lovely Henry Street. Mrs Cole had a mare called Amiability, known as Amy. She used to visit the yard with her little dog Choo Choo.. Such fantastic memories of filling hay nets with Mrs Dingwall and listening to her wonderful stories. My name then was Kate Hole, now Kate Kingston. I have very fond memories of Louie, particularly the year she was the leading trainer for 1 day ! She always got horses fit early in the season and on the first day of the NH season at Newton Abbott Tiercel won, Pav Aureole and Camp Carson were both 2nd in their races (I rode both of those) so Louie was the leading trainer on August 2nd. We celebrated by stopping at her favourite roadside devonshire cream tea house on the way home. Terrific memories of my grand mother. What? No mention of Pinkie’s Brother. I worked with Mrs D one summer. I remember Camp Carson Tiercel, and Amy, and a few more horse but I can’t remember thier names. Close your eyes was my favourite. Mrs D was a remarkable lady, had a wonderful time cantering on the beach. Hi Lynda, could you say what year the photo’s were taken please. I was with Mrs D the summer/winter of 1974. I was a young horse-mad teenager in about 1960 and Mrs Dingwall was kind enough to let me ride out whilst I was on holiday there. Never forgotten her generosity and the experience. Special memory. I’m so glad I read this account of her amazing life.